I recently attended a conference at the Goethe Institute on 1960s architecture in Addis. Addis may not be known internationally for its architecture, however it has some unique examples of the various architectural styles developed in the 1960s. Walking around Addis, one cannot fail to notice the uniqueness of these buildings, especially at a time when so much is being demolished to make way for new high-rise towers. As architectural expert, Professor Knebel (a German academic now teaching at the University of Oman) explained at the conference, in the last decade of emperor Haile Selassié’s rule, the city saw a construction fever through the commissioning of many administrative buildings as well as residential appartements blocks. At the time, the focus was on creating a modern city which had the ambition of becoming the capital of Africa with the newly created Organisation of African Unity (which celebrated its 50th anniversary last week). An international competition was organised to attract international architects to the city and create lasting buildings which would reflect the new international status of the Ethiopian capital. 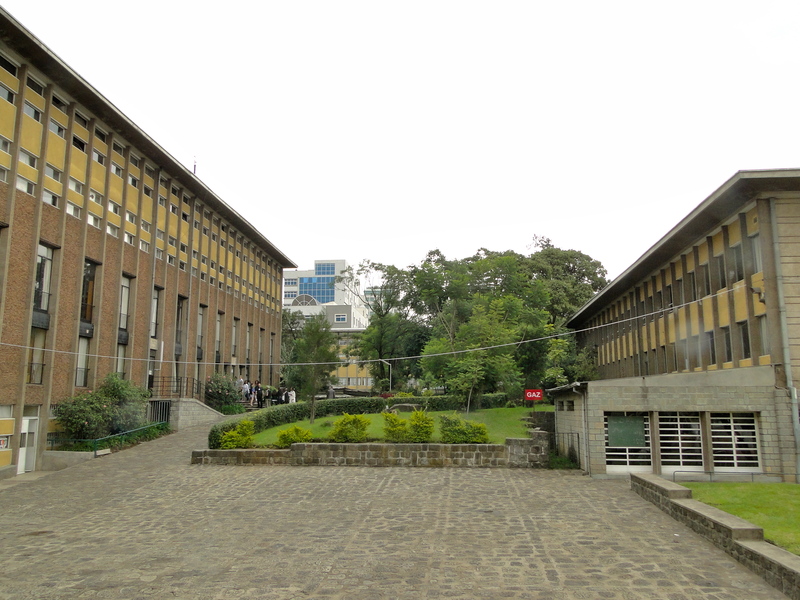 The movement started in 1959 with the construction of the Africa Hall (1959-1961), one of Addis’s iconic buildings designed by the Italian architect, Arturo Mezzedimi, Haile Selassié’s favourite. Mezzedimi, who had studied with Italian futurist architect Alberto Sartoris in Lausanne, was already working in the Horn of Africa where he got noticed with the indoor swimming-pool he designed in Asmara, Eritrea. Today, his Africa Hall is the seat of the United Nations Economic Commission on Africa, but it first hosted the newly created Pan-African organisation, born in 1963. The drive to change the face of the Ethiopian capital came in a context of political instability following a failed coup d’Etat against the Emperor in December 1960, which, for some political history experts, foreshadowed the 1974 revolution. Following the attempted coup, Haile Selassié continued to ignore his country’s domestic problems to focus on external affairs, trying to position Addis as the capital city of a united Africa in the new spirit of post-colonisation and pan-africanism. Ethiopia also joined the non-aligned movement in 1961, which proposed a third way in the bipolar world of the Cold War. 1965 was a particularly productive year with some of the city’s landmark buildings opening that year, such as the City Hall, the National Bank, the Ministry of Foreign Affairs, and the Hilton Hotel. A number of international architects, to name but a few, came to work in Addis such as Henri Chomette who designed the French Lycee Guebre-Mariam and the permanent seat of the African Union. He was himself a pupil of the 20th century master, Le Corbusier. The Israeli architect, Zalmann Enav from Tel Aviv, an innovative city in terms of architecture, was commissioned to design, among others, the Ministry of Foreign Affairs. He set up office with the Ethiopian architect, Michael Tedros, who had studied under Louis Kahn, one of the most creative architects of the second half of the 20th century. This group of architects belong to different schools, however, they all applied the same principle of using local materials such as stone and glass mixed with concrete, to find a new expression of the national identity. It is hard to see it today, but some of these buildings were a technical achievement at a time when it was difficult to find good quality concrete in Ethiopia. According to Professor Knebel, the architecture of the period reflects an openness to the world in the sense that the city welcomed different schools of architecture and the cultural exchanges were multiple. 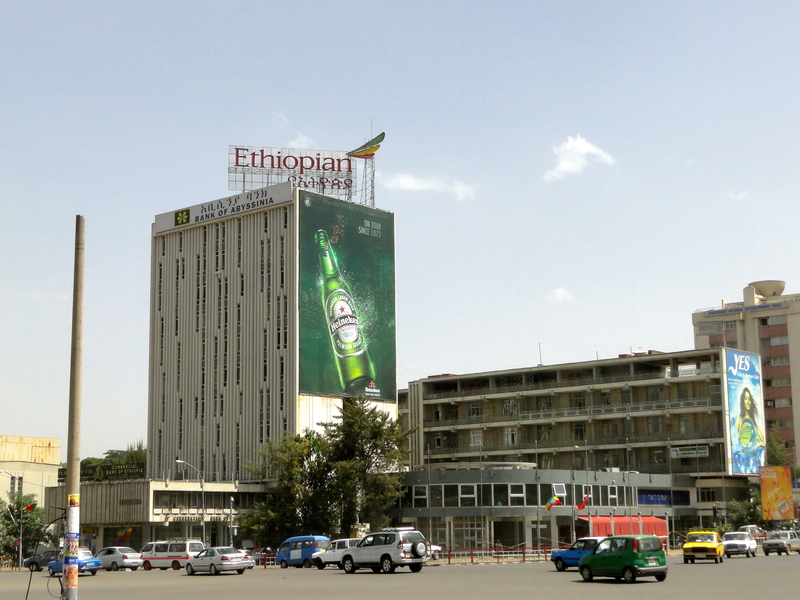 In his view, what is unique today in Addis Ababa is the fact that, although there are no historical masterpiece, the various architectural styles of the 1960s are all represented into the one place. They embody the complexity and the contradictions in the architecture of the early 1960s. Note: I wasn’t able to provide pictures of the City Hall, the National Bank or the Ministry of Foreign Affairs because of an interdiction to take pictures of national buildings in Ethiopia. Images can however be found online. My compliments; interesting reading and very decent presentation! 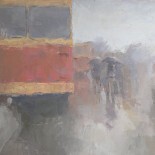 I worked in Addis 1967-68 and later briefly for Zalman Enav in East Africa. I visited Rimbaud’s house, then in a very poor state with goats and chickens on the second floor. Thank you very Bobby….it is so interesting that you worked with Enav…as a matter of fact, I have just finished writing a feature on 1960s Addis Architecture for Ethiopian airlines’ Selamta magazine to be published in Jan 2016 I think, so i will send you a copy when it is printed. I am also working on a book on Ethiopia, so maybe if I have specific questions about that era, can I contact you by email? Thank you for the precision Anwarkedir, i did come across several transciptions of the Amharic name, so your input is very useful. 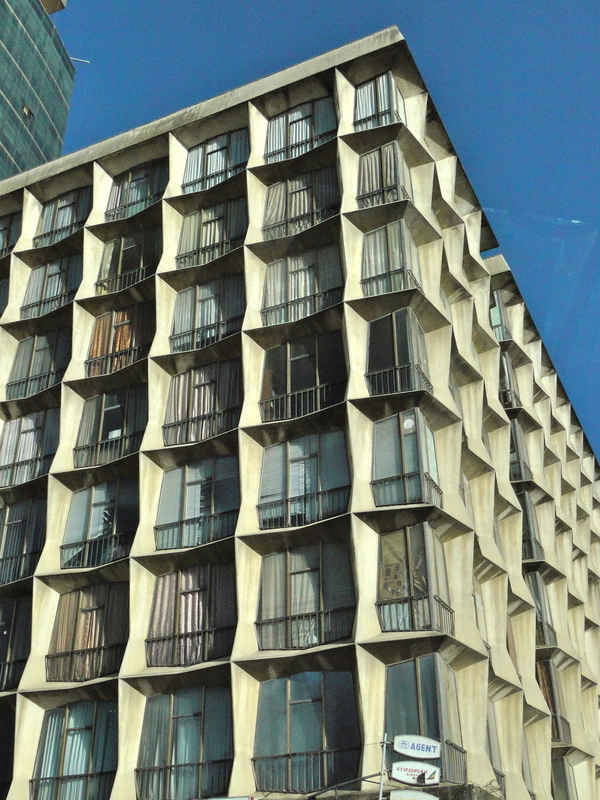 This entry was posted on May 30, 2013 by Salambo in Living in Addis and tagged 1960s architecture, Addis Ababa, Addis architecture, alberto Sartoris, Arturo Mezzedimi, City Hall, Ethiopia, futurist movement, haile selassie, Henri Chomette, Hilton Hotel, Le Corbusier, Michael Tedros, Ministry of Foreign Affairs, modernist movement, National Bank, Zalmann Enav.